Kitchen Nightmare’s visited “Jack’s”, a restaurant in St. Clair Shores, Michigan. Bill, Scott, and Tammer, all body builders, are partners in the restaurant. AJ, the general manger, is Tammer’s father isn’t running the restaurant the way the other partners want. (They say he’s drinking all the time and not being professional). Scott was asked to be a silent partner because the other partners said he was scaring away customers. In the kitchen, Aaron replaced AJ (who was previously in the kitchen before moving to the front of house). Aaron doesn’t have the authority to change the menu. The place is losing money, and they need help. Gordon arrived via snowmobile, where he met Scott, AJ and Bill. Gordon sat which each of them to find out what they think is wrong with the restaurant. Gordon finds out 1) Scott is a silent partner, which Scott thinks is because he’s “too intense”. 2) Scott says AJ makes $100,000 a year, and drinks a lot, plus all three don’t agree with what’s happening with Jack’s. Gordon looks at the menu, and notices that the Krab Omelet is spelled with “K”. Aaron says that it is so that people don’t mistake it for real crab. The omelet arrives, and Gordon spits it out. He questions AJ about it, who says it’s not his choice that they’re using fake crab. The fish and chips don’t go over well either; the cod is rubbery and frozen. Next up is the Honey Pecan Salmon, which is too sweet. Gordon declares it to be one of the worse salmon dishes he’s ever eaten. When Gordon tries to find out who’s controlling the food, AJ points at Aaron, but Aaron says he has no control. Gordon asks again, and AJ points at the owners. Gordon tells AJ it has to be his responsibility, but AJ disagrees. That night, Gordon observes the dinner service. Tammer arrives, and Gordon talks to him. Tammer says that food is inconsistent. Tammer feels like a man in the middle between his father and his friends. The food starts going out of the kitchen, and then comes back because it’s either undercooked, or not to the customer’s taste. The food such a problem, that they’re comp-ing meals left and right. Afterwards, Gordon asks them all “Who’s got the final say at Jack’s?” Bill says that since AJ has been in the business 40 years, and they’ve been relying on him. Scott confronts AJ about taking a check every week, even though they’re losing money. AJ gets very upset, saying that he’s booked many groups of people for thousands of dollars. On Day 2, Gordon goes in early to look at the kitchen and finds, pinked dyed tuna, salmon in what he thinks is Italian dressing, and risotto that is so thick that he can hold it upside down in the pan without it falling out. When everyone arrives, he takes them through the kitchen, pointing out moldy food, beef bits in blood, discolored chicken. Gordon confronts AJ about it, and AJ blames the owners. The staff and owners start cleaning everything, and Gordon goes out to meet with local fishermen. He even catches a perch through a hole in the ice. Back in the kitchen, Bill realizes that the stories customers have told about getting sick were probably all true, and he’s very upset. Gordon grabs the fish from the fishermen, and invites them later to the restaurant to have fish chowder. Gordon shows how to make chowder and a poached salmon dish. Gordon also decides to let Scott be a waiter for the night. The orders start coming in, but the food isn’t going out. The rest of the cooks aren’t paying attention to Aaron. The other cooks just aren’t paying attention to what Aaron is telling them to do. An hour into service, no food has gone out. Gordon finally steps in and tells the other cooks to start paying attention. The food finally starting coming out of the kitchen. During this time, Scott is getting more used to being a waiter. The new dishes go over very well, the old dishes aren’t and the customers aren’t happy. 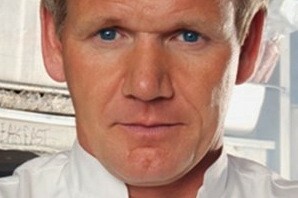 Afterwards, Gordon tells Aaron he needs to get some authority in the kitchen. He also tells AJ that he should have his salary cut in half, because other parts of the restaurant could use that money to fix things. Overnight, Gordon’s team made a lot of changes to the inside of the restaurant (including a big fish tank, and small fish tanks all along the walls). They put new menus on the tables and including a small bit of rope with instructions on how to tie knots with that rope. The new menu includes fish and chips and home made tartar sauce. The relaunch night has large crowds in spite of the very cold weather. The food goes out, and the customers enjoy the food. The restaurant fills up quickly, and the kitchen backs up quickly. The fried food isn’t coming out fast enough. AJ came back to help, but Gordon says it made things worse. Scott finally goes back when he hears the cooks swearing at Aaron. Scott tells everyone that they should listen to Aaron’s order. He yelled a bit, and that really ended up helping Aaron a lot. Now that the food is going out again, people says they’re liking it. The last order of onion rings isn’t up to standard, and Aaron gets it corrected. The partners are impressed with Scott with what he did during the night, and Scott feels pretty good about it. Afterwards, Gordon complements the owners on how they worked together that night. After complementing each other, Scott speaks up and says that there’s still a problem – AJ. Gordon says that AJ needs to cut back on the hours – and his pay. AJ agrees, but thinks that cutting down the hours will be recognized eventually by the partners. After Gordon leaves, Aaron was given complete control of the kitchen. He fired two cooks and hired two sous chefs. The partners fired AJ, which was obviously hard for Tammer. Good show, I’d be interested in hearing how things are going at Jack’s now. First restaurant of the new season! The Handlebar. Before I get into the summary of what happened, I need to say something. Parts of this write-up are a bit disjointed and seem to jump from situation to situation…. well, that’s because that’s the way the show was. Bill and Carolyn his wife bought the Handlebar in Mount Sinai, New York a year ago, seeing it as a good business opportunity. A year later, they were in trouble because the restaurant wasn’t filling with customers. Gordon arrived, tried the food, and immediately realized that was the problem. In the sit down with Bill, Carolyn, and Melissa the head chef. Much to Gordon’s surprise, Melissa says that she’s really not interesting in being a head chef! The food being served later that night wasn’t good. Frozen broccoli was served, radishes being served with steak, and burnt French Fries. A good look at the back rooms was a surprise, it was really, really filthy. Billy really didn’t want to hear any of Gordon’s criticism, and walked off. Billy was REALLY mad at Gordon for speaking to hi in what he felt was a disrespectful way. He ended up driving off, after calling Carolyn to say he was going to throw in the towel. The servers and chef ended up cleaning the refrigerator, and they got a plan together to get things going again. Gordon gave Melissa a quick demonstration on how to make clams with a homemade tartar sauce, and home made potato chips. During dinner service, Billy returned. Service started to stack up, and the customers were waiting quite a while. The customers even started yelling at each other. Finally, Billy and Gordon talk about what happened that night, and decided to have a staff meeting after dinner. They cut down the menu to make it simpler. The Kitchen Nightmares team went in that night and revamped the whole restaurant. (I have to say, I’m pretty impressed to see how much they did). They transformed into a Gastropub, the first on Long Island. As a way to relaunch the restaurant, Gordon got Dee Snider (from Twisted Sister) as part of a motorcycle rally promotion, and they handed out fliers for the relaunch with a simplified menu. The restaurant filled up and the food was going out well to start. They had a quick break and Dee Sinder came in on a motorcycle they want to auction for the March of Dimes. After that, the kitchen started to fall apart. Food was coming back because it was undercooked, and things weren’t looking good. The main problem was the Melissa wasn’t using the other two cooks in the kitchen. Once she did this, the kitchen started working better. The restaurant ended the night on the high note. The next few days were busy too, and they started to do better. By the time Gordon left, the Handlebar had turned the corner. I was happy to see that the restaurant turned around, but it really seems like the show needed to go into a bit more depth about how they changed the menu and got the kitchen going again. Visit the Handlebar website here. Hope they’re doing well! Kitchen Nightmares returned Thursday with a two hour recap on how the old restaurants from last season were doing this year. The narrator is still, well, narrating, but Gordon Ramsay talked directly to the camera too. 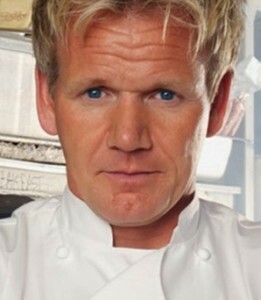 This very much like the English version of the show, Ramsay’s Kitchen nightmares. They really need to let Ramsay take over all the narration. Finn McCools – Buddy had a heart attack (!) but besides that, they took Ramsay’s advice because of that they were able to turn the restaurant around. Gordon tried the food, and liked it. The Olde Stone Mill Steak House – The restaurant is still open, and doing much better than before Gordon first arrived. They’re keeping up with the bills, and things are getting better. They have many customers during the week and a wait on weekends. There’s even a favorable write-up in the New York Times. Dean and Barbara (the owners) seem much happier too. The NY Beef Industry Council even presented an award to Dean while Gordon was there. The Mixing Bowl Eatery – The business has improved, and the restaurant made the Top 20 in Long Island in 2007. No more signs or coupons. Word of mouth is driving the business. Billy and Lisa are much happier, and are happy they didn’t sell the business, which they were thinking of doing when Gordon was first there. Gordon presented them with a plaque with his seal of approval. Dillon’s (now renamed Purnima) – Business is up. The consultant Gordon brought, Vikas, is still there, and the place is spotless. A COMPLETE turnaround from what it originally was like. They’re making between $18,000 and $20,000 a week. Campania – The business is busy and “things are going easier”. Joe, the owner/chef, says that the number of customers have doubled. The bills are being paid, and everyone is happy. They’re selling a LOT of meatballs too. The mayor and deputy mayor presented Joe with an award, and declard February 13,2008 “Campania Ristorante Day”. Gordon even walked out with an order of meatballs! Peter’s – Gordon didn’t revisit Peter’s, but they’re still around and doing well. Not sure why Gordon didn’t come back personally. TV Squad is reporting the first episode of Kitchen Nightmares won’t be of a new restaurant, it’ll be going back to the places Gordon Ramsay tried to save last year. This is similar to what they have done on “Ramsay’s Kitchen Nightmares”, the British version of the show. The main difference is in the American version, all the restaurants will be show, while in the British version they do a long recap of a single restaurant, and spend the last few minutes talking about what happened since the original filming. 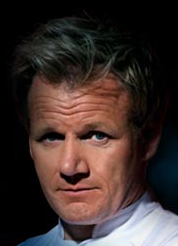 They rename these shows “Ramsay’s Kitchen Nightmare’s Revisited”. Should be interesting to see how well they fared – or didn’t. Season 2 starts Sept 4th, 2008. One of the things that’s getting very predictable about the show is when they start trying to make you believe one thing, you can be pretty sure they’re going to do the opposite. The whole “I’m wondering if I have the right two finalists”, Petrozza making noises like he’s about to lose the challenge, etc. That’s always gotten on my nerves, and it was especially bad last night. Why was Whoppi Goldberg there? Just because you’re a celebrity, you get to show up like that? Seemed weird and out of place. Petrozza picked Bobby and Ben. Christina picked Corey and Louross. Leaving Matt and Jen. They sure made it sound like Jen was out of some sort of revenge, but in retrospect it sounded like she wanted to do such a good job that Ramsay will regret booting her. If you look carefully at the end credits, Petrozza ends up picking Jen for his final chef, leaving Matt with Christina. If you missed Hell’s Kitchen last night, here’s the episode. My comments are after the video. When it came down to the final service, every one of them screwed up in some way. Corey didn’t handle the hot plate, Petrozza didn’t catch some sabotage from Chef Scott, and Christina fell apart at her station. Of the three, Petrozza screwed up less than the other two, so I was sure he’d make it in to the finals. I did think that Ramsay made the right decision in picking Christina, simply because she won so many challenges. That’s one of the good differences between a show like this and a show like Top Chef. In Top Chef, you can win several challenges in a row, but if you don’t cook well one week, you’re out. A lot of that game is “screw up less than your opponents that week”, which is why some chefs that won cooking challenges left before others. Ramsay took Cristina’s previous performance into account when he made that decision, and I think it was a good choice. Now, it’ll be interesting to see what happens next week. Sure looks as though both Petrozza and Christina really screwed up service, and Gordon Ramsay will be left with a similar choice to what he did this week. Now, if they had chefs of the caliber of Top Chef doing Hell’s Kitchen… That would be interesting.